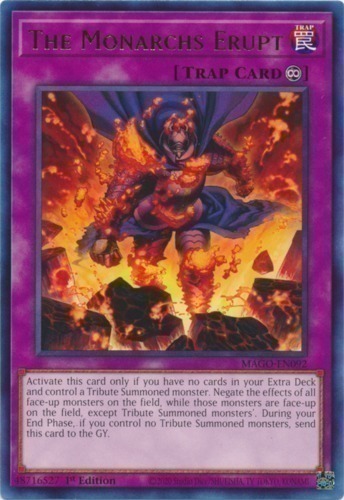 Text Activate this card only if you have no cards in your Extra Deck and control a Tribute Summoned monster. Negate the effects of all face-up monsters on the field, while those monsters are face-up on the field, except Tribute Summoned monsters'. During your End Phase, if you control no Tribute Summoned monsters, send this card to the Graveyard.